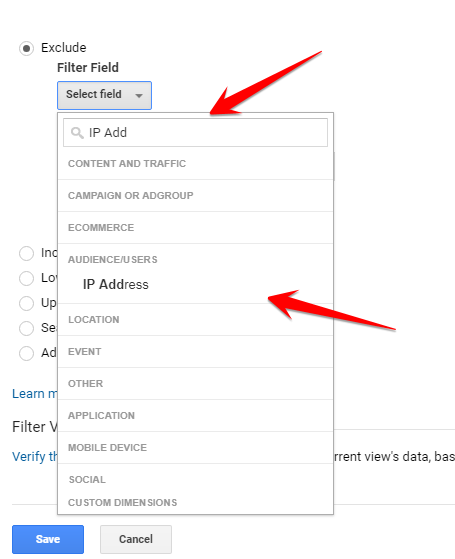 Only Web Analytics: Google Analytics Filters - How to exclude CIDR IP Ranges with Regular Expressions? How and where to create a filter? 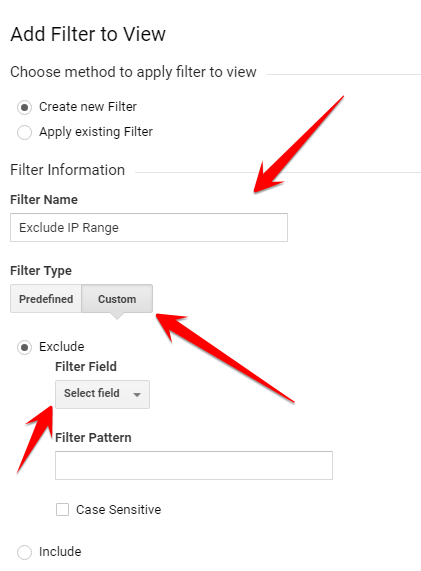 You can navigate to the Admin section of Google Analytics and find the property and the view under which you want to create a new filter and click on Filters as shown in the below picture. 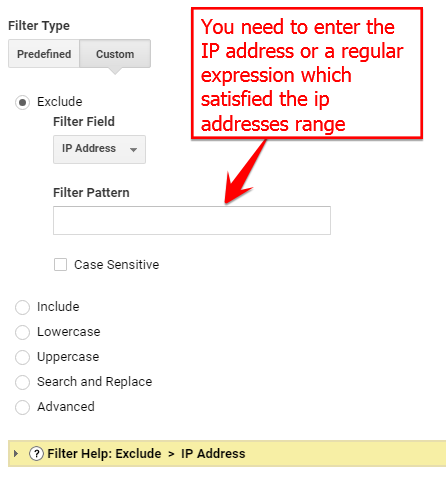 In this blog post, let's just focus on creating a filter which can exclude all the traffic coming from a range of IP addresses but you have been provided with a CIDR IP Range. Important regex expressions to remember while dealing numbers are [0-9] matches any number between 0 and 9 and | - pipe symbol denotes "OR"
This is the final expression you need to add to the filter. If you have another CIDR "14.12.72.8/17", just come up with an expression like the above one and put a pipe symbol between two of them and add it to the filter like this and save the filter. You are done. Now you should stop seeing the traffic from these IP Addresses for the view you have added the filter to. I hope, you got an understanding of how to write a regex for IP ranges. Let me know if you face any difficulties or comments. Keep reading and support! One more question if we applying IP based range filter is it allowed under GDPR norms ?? Hi Neha! yes as per GDPR, IP address is considered PII but only if you collect it in a dimension or something to show in your reports. But by default GA collects users IPs for Geolocation data. Here we are just telling GA not to show any data related to those IP range. So it doesn't violate GDPR. Coming to the ipanonymize, it is purely optional. If you enable ipanonymize, your job of writing IP range becomes much simpler as you are going to just write one IP instead of 256 IPs. But if you want to specifically stop particular IP ipanonymize will do more harm since it eliminates the other 255 IPs which you don't want to eliminate. Looks like that I am wrong. From GDPR guidelines, it seems that GA shouldn't collect the IP address without user's consent in EEA parts of the world. So, yeah if your organization wants to be on safer side, you can enable IP anonymization. Somehow GA doesn't have proper documentation on this case. I will get back with an article on this with more information after research.